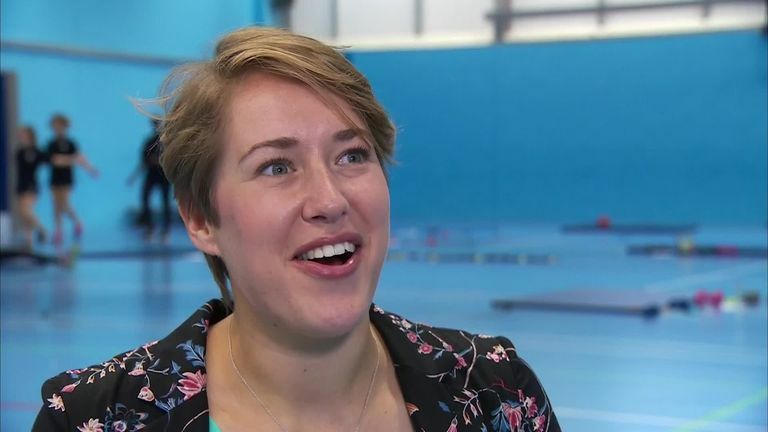 Winter Olympic double gold medallist Lizzy Yarnold admits she's pleased to finally announce her retirement at the age of 29. Lizzy Yarnold, Great Britain's most decorated Winter Olympian, has retired from skeleton eight months after winning her second Olympic gold in Pyeongchang, South Korea. Yarnold, who will turn 30 on October 31, claimed her first Winter Olympic gold at the Sochi 2014 Games before adding world and European titles in 2015. In February she became the first Briton, and first skeleton athlete, to successfully defend their Winter Olympic title and it is her success in Pyeongchang - when she had to manage a genetic knee condition and back pain - which she regards as her greatest triumph. Yarnold said: "Sochi still means a lot. But I really didn't believe that I could go to Pyeongchang. I didn't know if I was going to get selected. I wasn't sure I was going to win the gold medal at all." Yarnold's first Olympic success came at the Sochi 2014 Games, which were overshadowed by state-sponsored Russian doping. Russian athletes who met specific criteria were permitted to compete in Pyeongchang, but not under the Russian flag. The World Anti-Doping Agency (WADA) last month lifted its suspension on RUSADA, Russia's anti-doping agency, in a decision which has been met with criticism from athletes. Yarnold feels concerns raised by athletes have been ignored by WADA. "At the moment I do feel as if we're not being listened to," Yarnold said. "I think it's clear that many athletes' view was to not allow RUSADA back in until they had completed all of their requirements that were set out a few years ago. "Doping issues have, unfortunately, been a part of my career for many years, so I really stand strongly with other athletes hoping we can take anti-doping further and protect clean sport and fair competition." Yarnold acts as an athlete mentor and plans to attend December's first World Cup event of the season in Sigulda, Latvia, where she will be supporting British athletes hoping to emulate her success. "I do want to stay involved in skeleton. It's given me so much and I want to give back to the sport as well," added Yarnold, who is looking forward to winter at home in Hampshire with her husband, James.